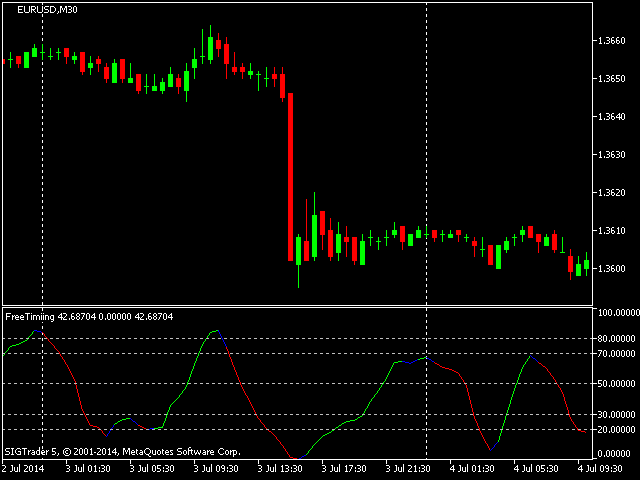 This is the same indicator created by Mustapha BELKHAYATE now available for free. This indicator is best used to time the market and enter trades during periods of least risk. Apply this indicator along with the Center of Gravity indicator in order to identify price extremes. Then use free timing to trade potential turning points. 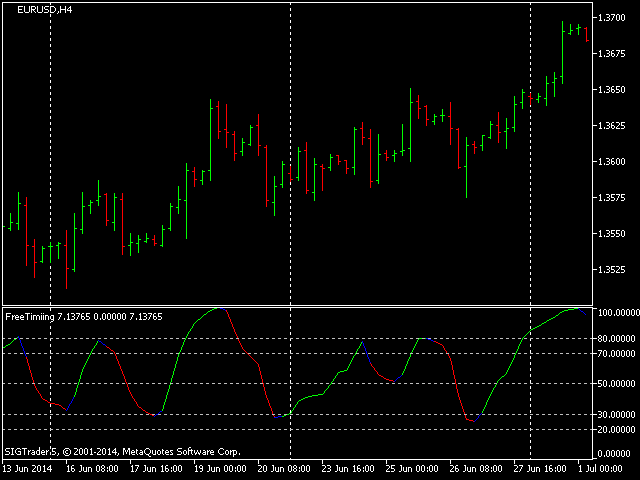 This indicator is an oscillator similar in ilk to the Relative Strength Index. Indicator values range from 0 to 100, with values below 30 or 20 signaling overselling and values above 70 or 80 warning of overbuying. The green color shows upward momentum in price and red shows downward momentum. len = this is the period calculation value for the indicator. filter = this value is used for filtering signals produced by the indicator. This works by adding whatever is input here to previous indicator values for comparison with the most recently generated value. This way one can filter out signals during times of ultra low volatility. Filter value accepts numbers from zero upwards, including decimal numbers. The larger the number is, the less signals that will be generated. Fixed issure relating to improper indicator display. Bug fix for error found in the indicator. Indicator now calculates faster and uses less computer resources.